Police have arrested a mother who was filmed savagely hitting her innocent baby. 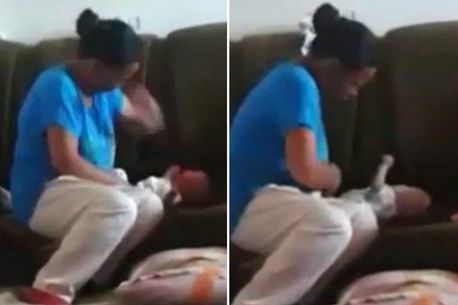 The sickening footage shows the woman repeatedly slapping the sobbing child 42 times, until eventually it starts to quieten. Police say the mother, named as Aygul Kozhabaevna, has since been identified and arrested in the central Asian republic of Uzbekistan,Daily Mirror reports. "During the interrogation she admitted her guilt and the fact it was her in the video." The mother was reportedly unaware that she was being filmed by an unnamed eight-year-old girl, who was the daughter of one of her friends she was staying with. She claims she carried out the attack to "teach the baby a lesson" when it would not stop crying.